The first A350 aircraft was recently put into use at the Changsha Huanghua International Airport by Hainan Airlines to alleviate pressure on the airport during the Spring Festival travel rush that will last until March 1. The new-generation wide-bodied aircraft will serve the HU7136 flight that flies between Changsha and Beijing. It has a two-channel passenger cabin bigger than that of any other similar airplane. It is also equipped with very wide 18-inch economy class seats, a flat floor that provides more leg space, and enough luggage cabinets to accommodate a full house. There are 336 seats, 15.1 percent more than the older 787 aircraft. The A350 uses advanced technology to reduce aerodynamic noise and provide comfortable air pressure, humidity and temperatures for an ideal flight experience. 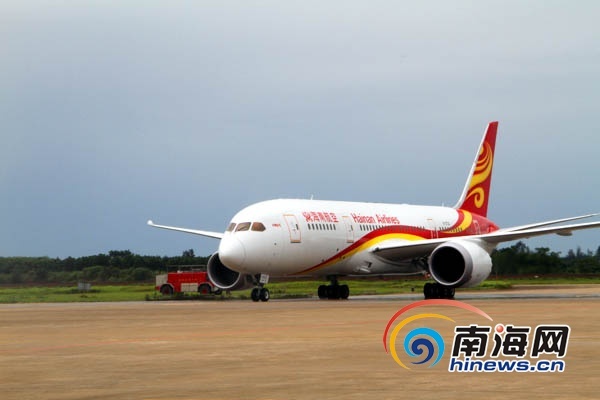 Since the start of the Spring Festival travel rush, many airlines have introduced wide-bodied aircrafts for flights between Changsha and cities such as Sanya, Hainan province, Kaohsiung, Taiwan and Seoul, South Korea.